I would like to introduce you to Sylvain Mbiye (Mushiba) Saluseke. He is the husband of a friend of mine, and a Congolese civil society activist. I introduce you to him because he has been detained without charges by Congolese security services in Kinshasa since March 17. His plight is both personal and historic. It is, of course, deeply painful for his family and loved ones, and it is also a small thread in the unraveling political story in the Democratic Republic of Congo. The longer he is detained, the worse is the fate of the country’s future. This is true not because of anything that Saluseke himself might have done or might yet do; rather, it is true because his continued detention serves as warning of how the government will act as the elections of 2016 approach. Congolese President Joseph Kabila’s harsh response to civil society activists is also historic because it repeats one of the more puzzling aspects of the recent wave of popular protests that have impacted leadership changes around the world: the way that the old leaders adopt precisely the manners and policies that pave the road to their downfall. Where accommodation and reform might cement their legacy, and, frankly, even protect their often ill-gained economic interests, they nonetheless opt for paranoid violence. In so doing, they further de-legitimize themselves before their people and the world. Kabila seems intent on heeding to this model, as demonstrated by the mass arrest over the course of several days between March 15 – 17, 2015, of both Congolese and international youth activists and journalists, as well as a USAID official. It must be noted that the ANR action included a particularly brazen choice—among those detained was a USAID official, who was held for hours and questioned. Some names of the detainees have been reported: from Burkino Faso, Oscibi Johann of Balai Citoyen; Fadel Barro, Malal Almamy Talla and Aliou Sané of Y’En A Marre. International journalists detained included, as Reporters Without Borders noted, Agence France-Presse photographer Federico Scoppa, two BBC journalists and a woman reporter for Belgian radio and TV broadcaster RTBF. They were released after being held for a few hours at ANR headquarters. 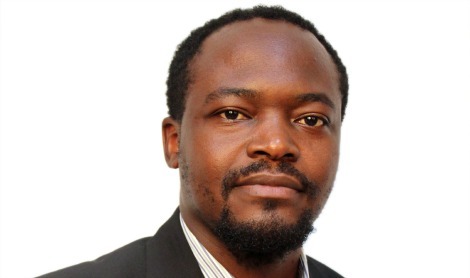 Erick Izami, a journalist with Antenne A, a private Congolese radio station, was also detained. The group were taken to ANR headquarters, interrogated, and some of the international detainees were released after several hours. Congolese journalist Izami was held until March 17. The activists from Burkino Faso and Senegal were declared persona non grata and expelled from the country on March 18. Of continuing concern are the Congolese activists: among them are Fred Bauma of LUCHA and members of the FIMLIMBI movement. Included in this group is Sylvain Saluseke. Saluseke was not among the initial group of detainees and when he heard of the arrests he went into hiding. He was contacted by someone he knew in the ANR, who suggested he leave the country, but asked to meet with him first at the Grand Hotel in Kinshasa. At 1 a.m. on March 17th, Saluseke sent his family a text message stating that he had been taken to the ANR headquarters for questioning and was waiting to be released. After that point, he no longer sent any messages directly. News during the following week was sparse. While a few of the detainees were released on March 20, by March 27, an estimated 11 activists remained in detention, still not charged with anything and unable to see or talk to family members or their lawyer. On March 30, a Congolese parliamentary commission of 15 deputies, apparently 10 members of the president’s party and 5 of the opposition, was created to lead an inquiry into the arrests and allegations of the activists. They are supposed to spend 10 days conducting research, meeting with various security services involved in the arrests, and present their findings to Parliament. If they do their job well, perhaps their report can clear the way for releasing all the detainees. As for Sylvain, his mother and sister were finally able to see him. They reported on March 31 that he did not seem to be suffering physical torture, but he is being questioned repeatedly. In the past, the ANR has pressured detainees to sign untrue statements. Kabila’s political battle will not be solved in either the detention or release of Sylvain and the other activists. This battle is much larger, likely will last much longer, and may yet become much more serious for all Congolese. But how the government chooses to treat these activists will give us a hint of what might come. For now, it is well past time for the government to release all of the activists. Thank you for this article highlighting all the pertinent issues. Just let these young men go… They didn’t do anything wrong but fighting for making things move forward. Their loved ones need them, so does the country. Sad as it is for governments to react in such a way, it is actually a reversed philosophy indicating how weak they are. I pray for this man and his family and know that good will come out this!